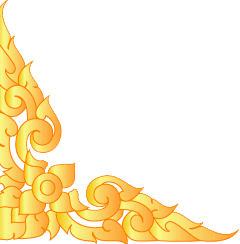 Thai food is one of the most famous foods in the world. It is healthy and creates a unique flavor of taste with herbs and spices. 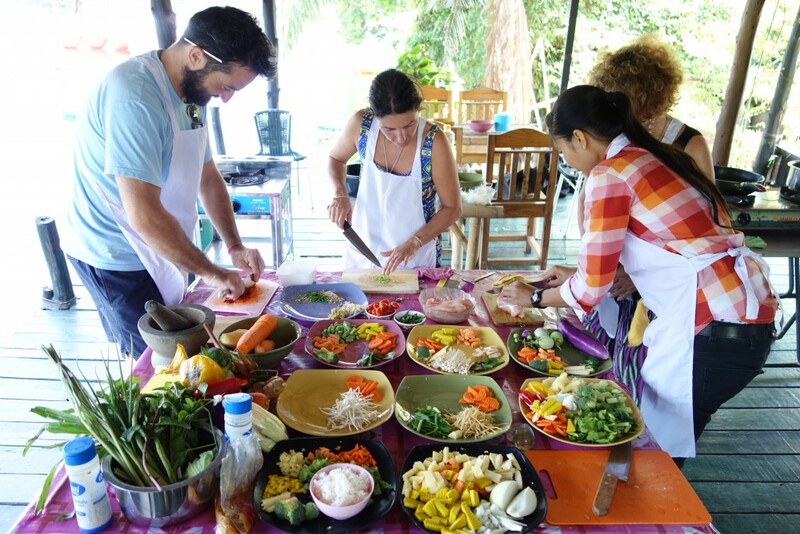 You will experience the secrets of Thai cooking and learn how to prepare these dishes from scratch. Thank you so much for choosing us to be a part of your Koh Phangan memories. We offer cooking classes on Tuesdays, Thursdays and Saturdays. 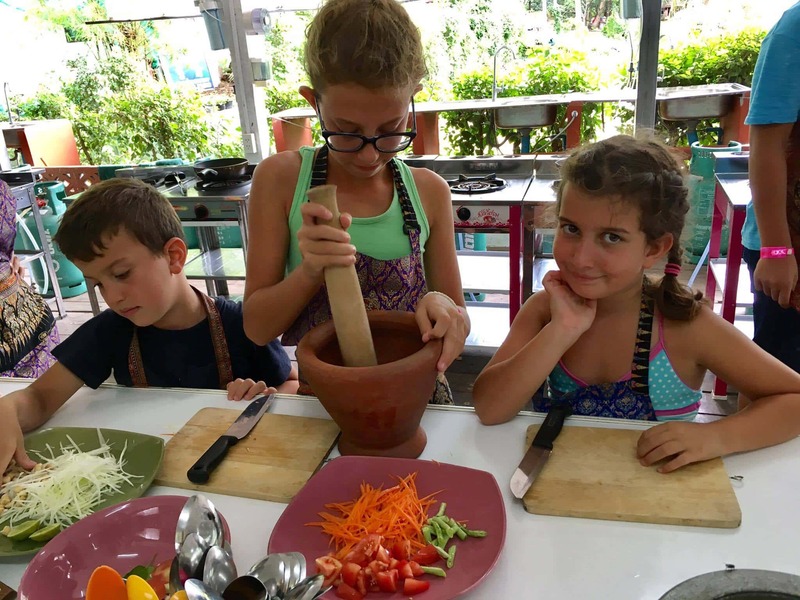 We always provide fresh ingredients to our dear students. After you cook your chosen dishes in class, you can either enjoy eating them while you are sitting by the lake located behind our kitchen or you can take your dishes back to your place. 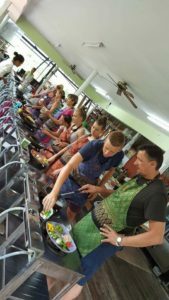 So please don’t eat a lot before coming to class, save your appetite for your favorite Thai dishes which you will cook yourself with our experienced and enchanting Thai teacher. 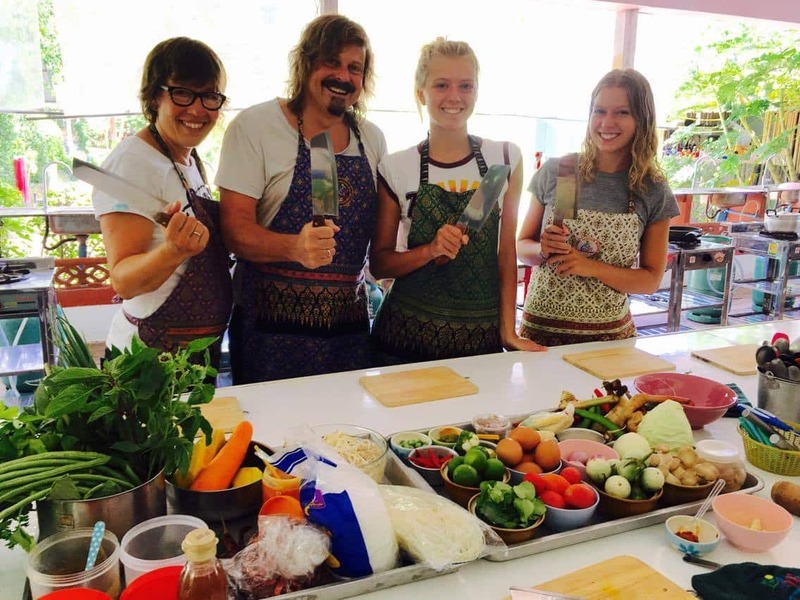 Our group Traditional Thai Cooking&Dessert class is on Tuesdays, Thursdays and Saturdays at 13.00. You can choose 2 dishes to study*. 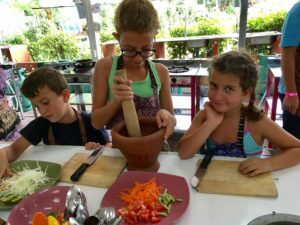 Our private classes can be arranged at other time convenient for the student. 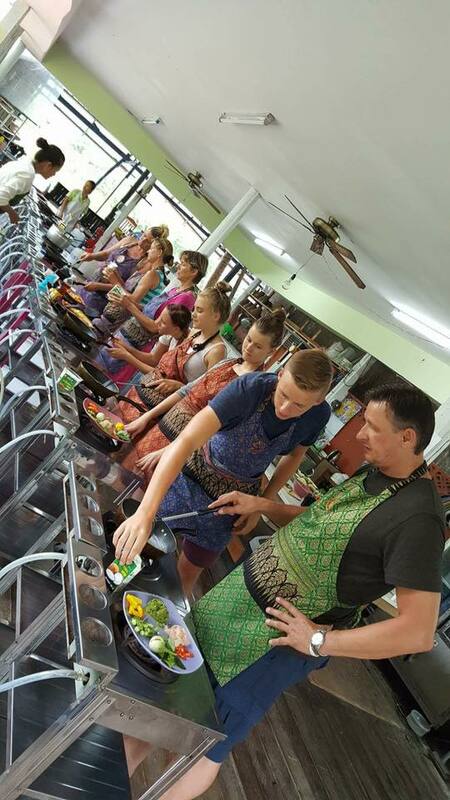 The course is 3 hours and includes 3 Thai dishes. If students apply as a private mini-group, the price each additional person willing to join the private class is 1000 THB only. 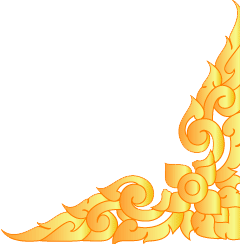 *You can choose 2 of the best of Thai Cuisine, including Pad Thai, Papaya Salad, Fried Cashew Nuts with Fresh Chili & Onion, Fried Rice,Green Curry, Panang Curry, Glass Noodle Salad, Fried Holly Basil with Fresh Chili & Onion, Tom Yam Soup, Coconut Soup, Spring Rolls, etc.